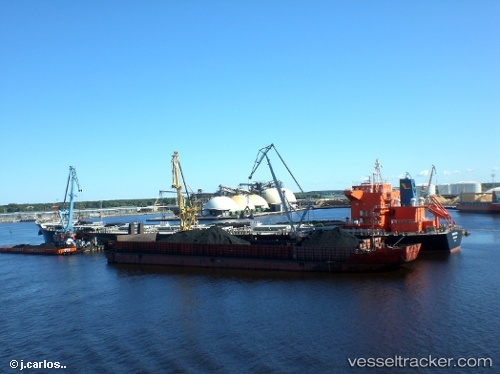 The Freeport of Riga says it held a ceremony at the beginning of the year to commission two piers, ZO-1 and ZO-2, after the redevelopment, which took almost two years. The project included extension of both piers. ZO-1 received two newly built mooring posts and new lighting. For the extension of the ZO-2 pier, a new underwater sheet pile was built and dredging to 12 m depth mark was done. For the needs of the new extended pier, soil excavation was performed in the area of 3,710 m2 and about 7,746 m2 of the water area were dredged. Storm sewer with local water treatment units and output to the water area was built. The Freeport of Riga has announced that it is testing the suitability of its Spilve Meadows territory for construction and development projects. During the geodetic investigation, 3D visual modelling was performed to demonstrate the future development of the port, promoting the competitiveness of Riga for investors. Possible projects that could take place in the Spilve Meadows territory, as part of a proposed development programme, include a road network connection with the Daugavgrīva road and the construction of a new railway line. In addition to this, eight warehouses or manufacturing buildings, each with an area of 10,000 square metres, could also be built. The greatest project in the history of the Freeport of Riga — the Krievu Island Terminal — is entering into its final phase with the additional infrastructure works and construction of the required utilities, cargo areas, rail approach roads, a windbreak fence to meet environmental protection requirements, administrative buildings, and installation of coal handling technologies. The course of work creates confidence that all construction works on Krievu Island will be completed within the planned deadlines, the Freeport of Riga says in its press release.